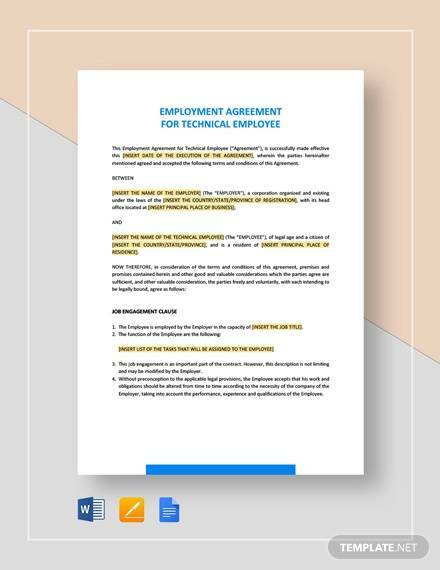 When it comes to hiring new employees, it would be easier to let him/her know what is expected of him/her with the help of an employment agreement. 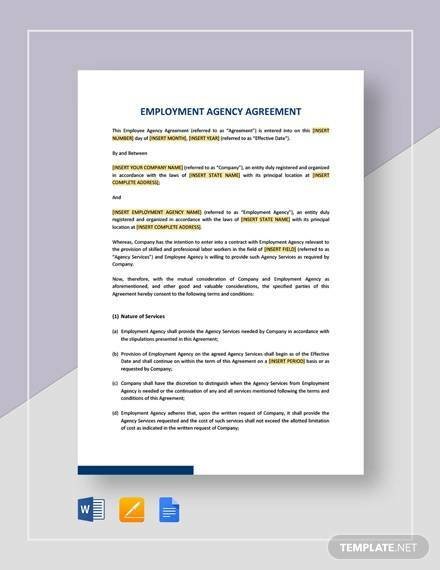 An employment agreement is basically a written documentation that affirms that the employee is now working in the company and that he/she has come to terms with the provisions stated in the agreement. 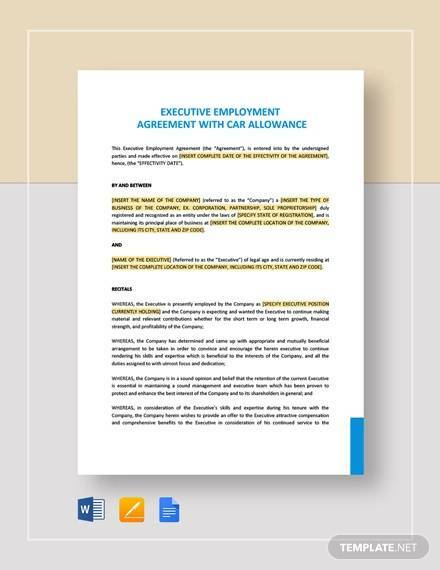 You can find out more about employment agreements in this article. 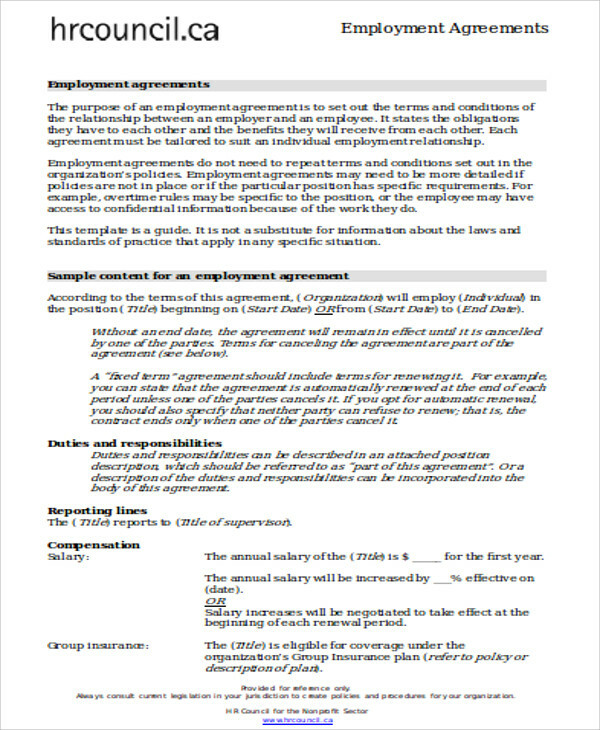 We have also included some employment agreement samples and templates for your convenience. 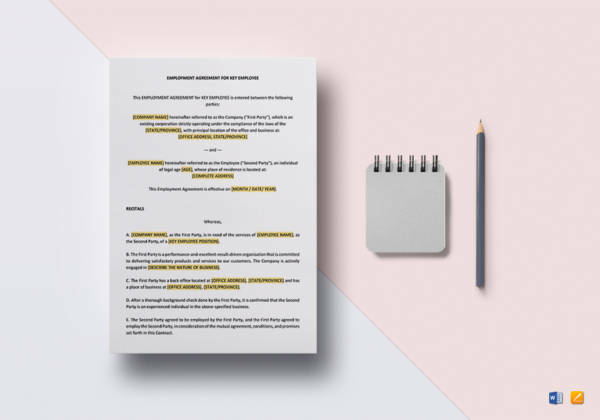 Keep reading this article to gain a better perspective about employment agreements. 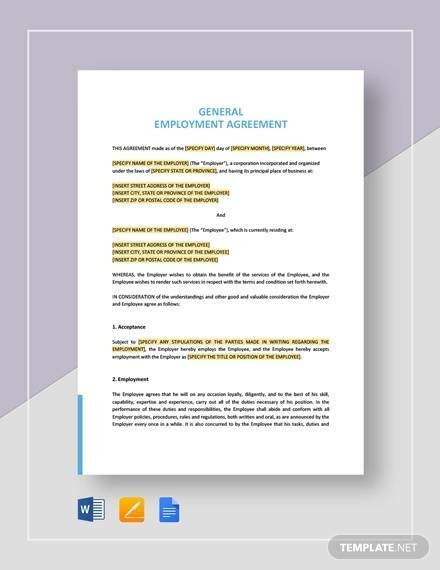 What Is an Employment Agreement? 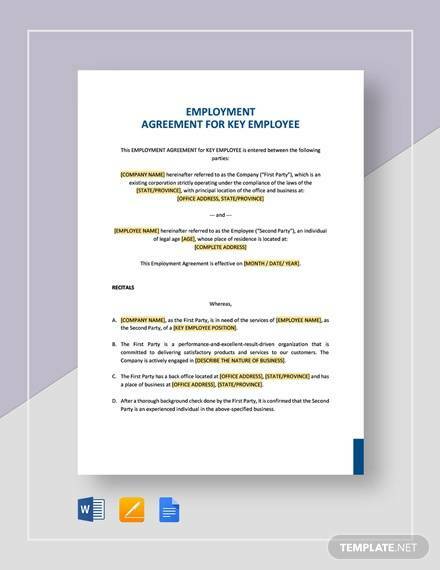 A standard employment agreement is basically a legal document that outlines what the working relationship will be between an employer and employee. 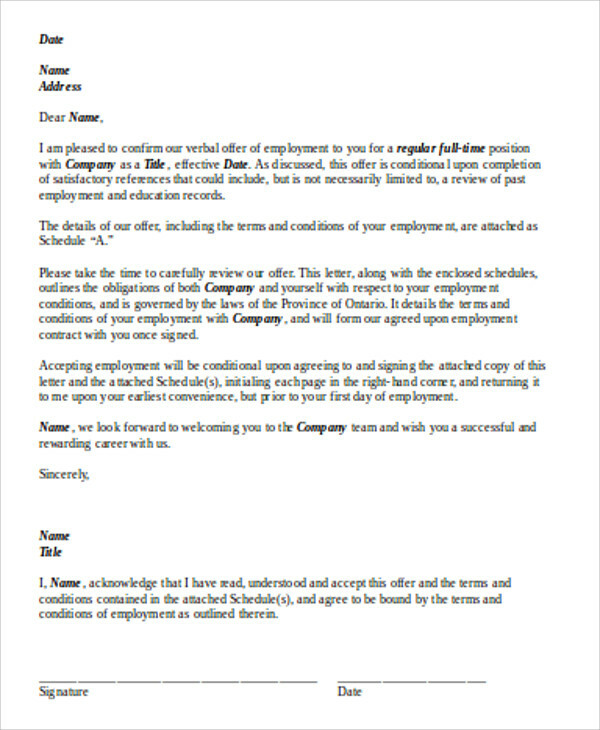 This agreement is usually provided to the employee upon getting hired. 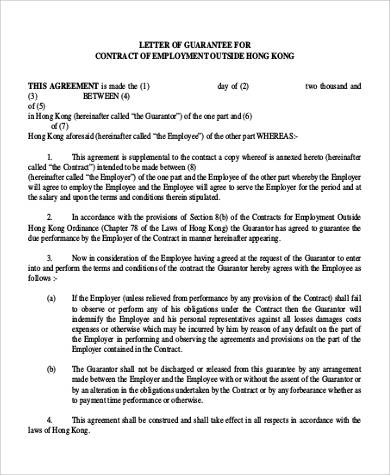 The contract will give an overview of the duties and responsibilities expected of the employee and it also confirms that the newly hired employee is eligible for legal and tax purposes. 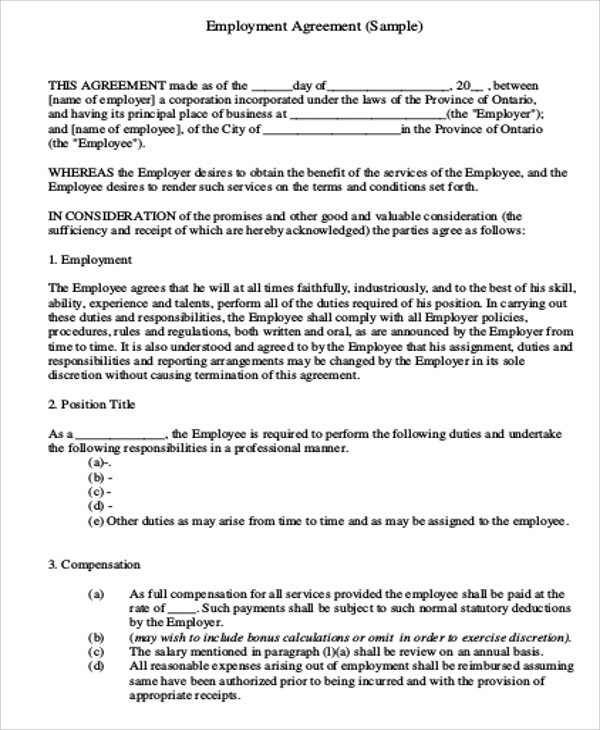 What Is Included in an Employment Agreement? 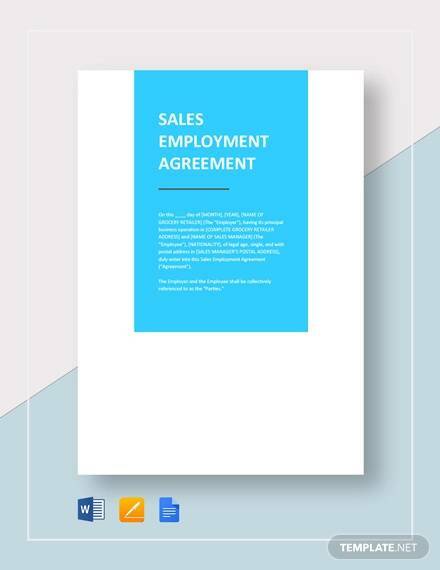 An employment agreement will contain the complete employment details of the employee. 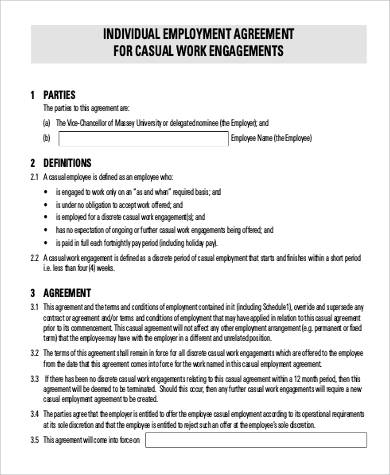 Here’s what is included in an employment agreement. Employee. The name of the employee being hired. Employer. The name of the employer or the name of the company. Job title. This refers to the position of the newly hired employee. 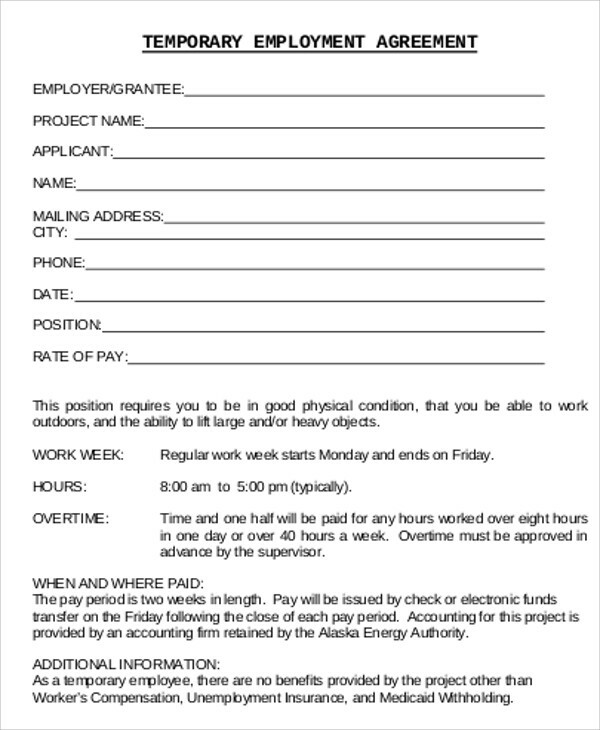 This will also include a description of the responsibilities of the employee. Compensation details. This will include the amount of money that the employee will get every pay period, overtime pay details (if applicable), the frequency of compensation, bonuses, and allowances. Date hired. 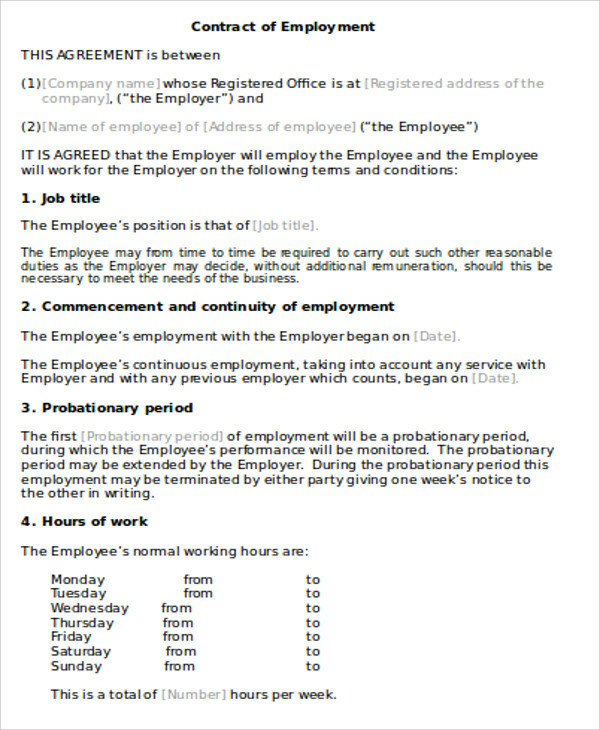 This refers to the date when the employee will start working in the company. Employment term. This refers to the amount of time expected to be rendered by the employee for a specific period of time. Employment benefits. This talks about the insurance, leaves (vacation, sick, maternity/paternity, etc. ), paid time off, and other company perks (monthly movie, team outing/team building, office parties, etc.). Confidentiality clauses. 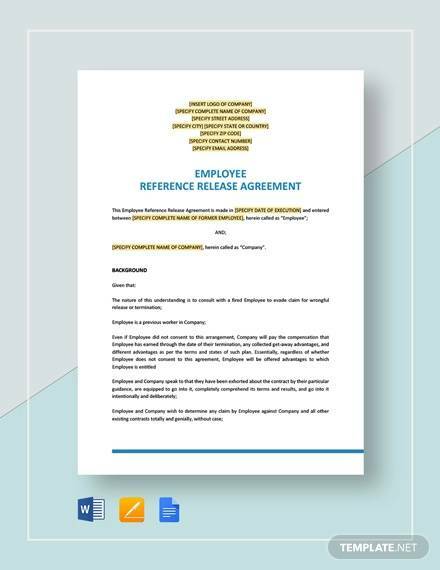 This clause pertains to the employee not disclosing any of the company’s trade secrets and other sensitive information that should not be shared especially with competition. 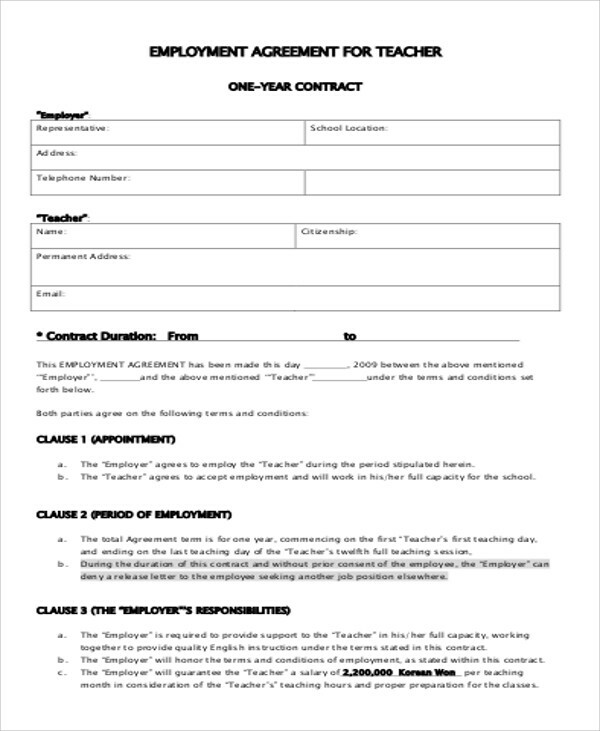 You can check out Non-disclosure Agreement Samples and Templates on this website for more information about not disclosing company secrets. Non-compete clauses. 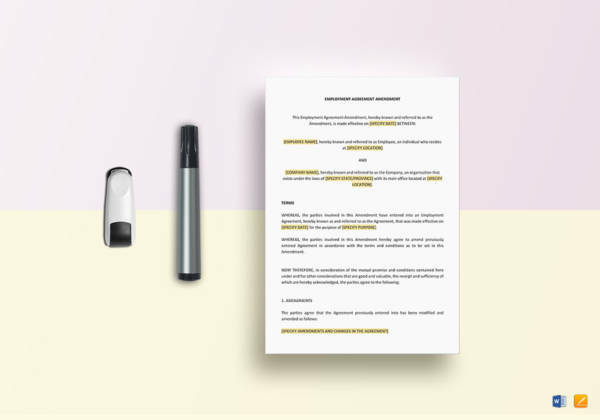 A non-compete clause refers to the employee not working for the direct competition of the company, a company in the same industry, or any work that is of similar nature. 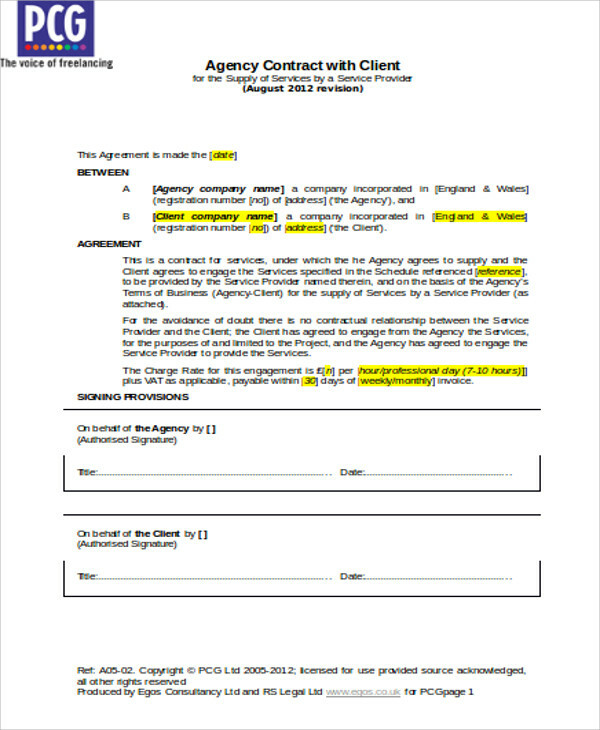 Oftentimes, a non-compete is given as a separate document from an employment agreement. 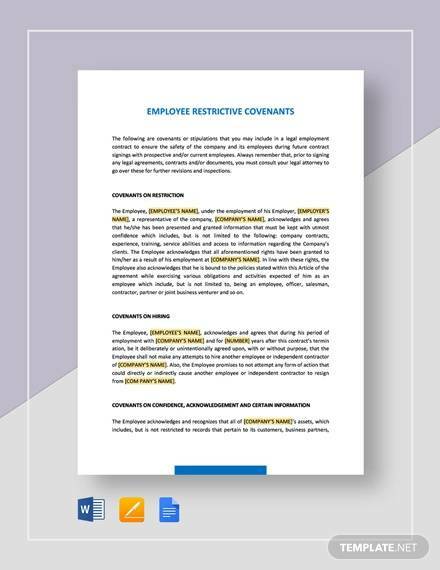 You can find out more about non-compete agreements at Employee Non-Compete Agreement Samples and Templates for more information. Non-solicitation clauses. This refers to employees not being allowed to recruit coworkers when they decide to leave the company. This will also include not asking clients to follow them to the new company as this also falls under confidentiality clauses. Reimbursement. 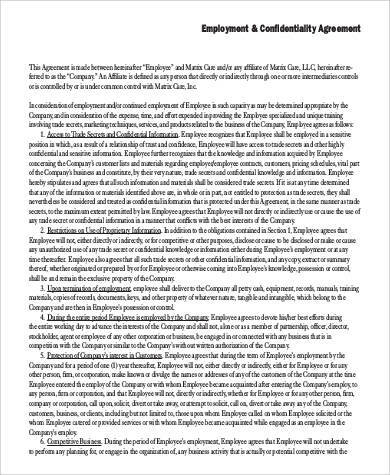 This clause refers to the company paying back the employee for any expenses that they paid that is related to the job or the company. This includes business travels, cellular plan acquisition, or relocation. Probation. Probation refers to the period of time where an employee will be under a trial period or observation. This usually lasts for 6 months. If deemed unsuitable or unfit for work, employment may be terminated. 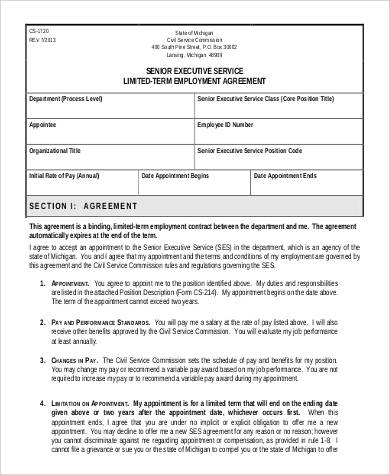 Termination This refers to the circumstances wherein an employee will be considered to have his/her employment ended. Work for hire. This means that any work created or done by the employee for the company belongs to the company. 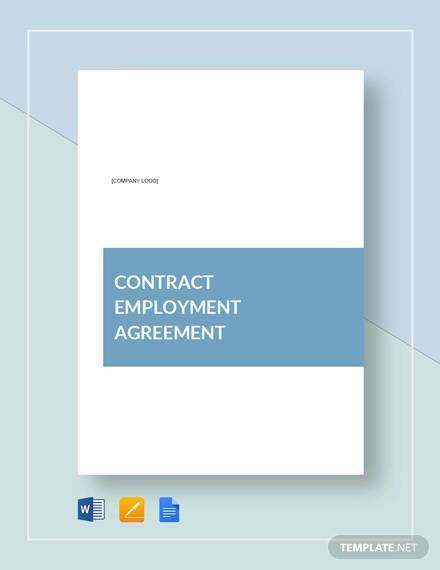 You may take a look at our employment agreement contract samples for more information about what you should include in an employment agreement. 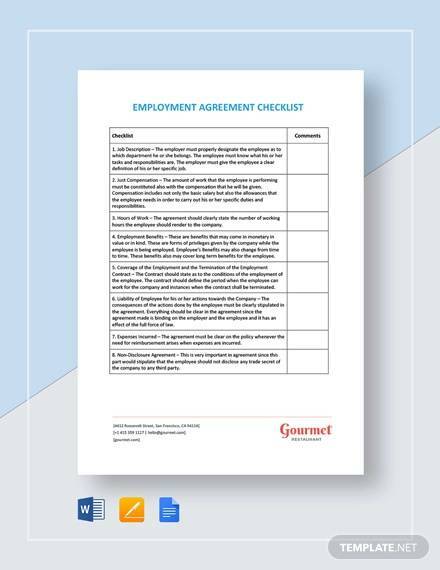 What Does a Good Employment Agreement Template Contain? The name of the person being hired in the company. The job functions expected of the employee. The area or the location where the employee will be working. Duration of the probationary period, if applicable. 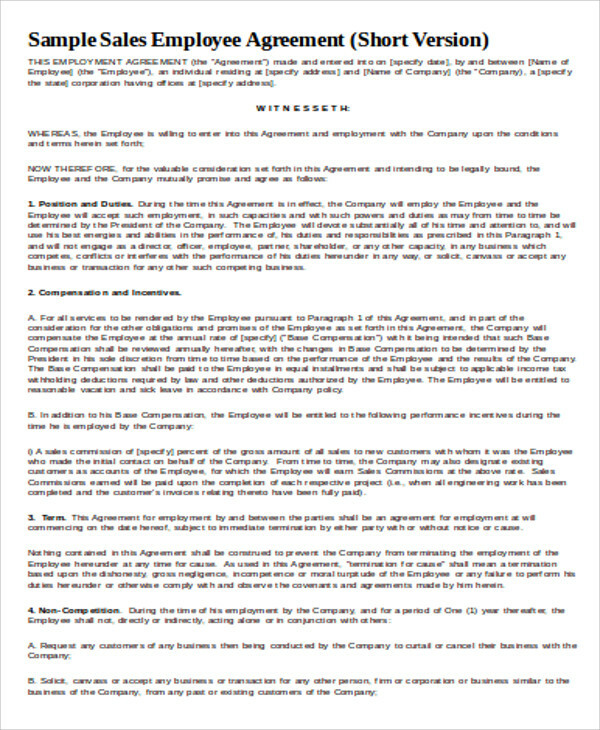 The duration of the contract. Circumstances wherein the contract will be deemed invalid. Confidentiality clauses regarding business trade secrets and patents. 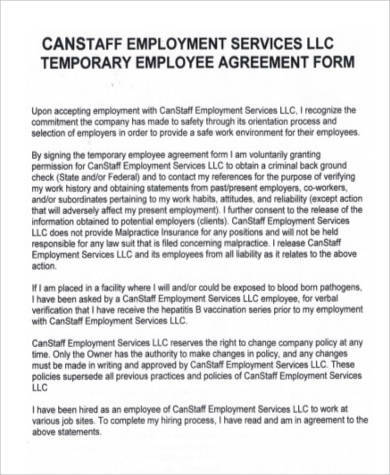 Why Use an Employment Agreement? 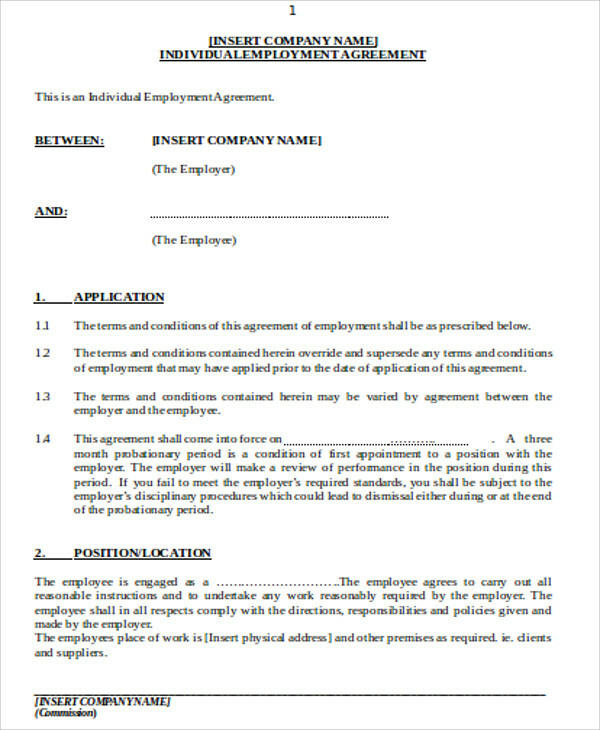 If an employer opts to not use an employment agreement, this means that the employee is under an at-will employment. An at-will employment means that an employee can opt to quit the job anytime and an employee can also terminate the employment any time they do so. 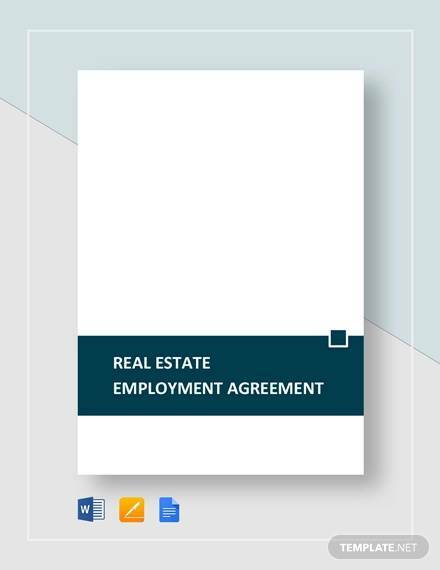 Having an employment agreement prepared can also protect not just the employer but the employees as well. It can aid in ensuring that everyone is treated in a fair and equal manner. 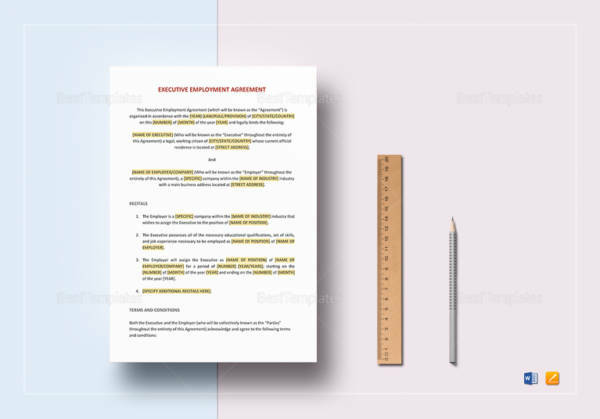 It is also helpful when it comes to disagreements as it can be used as a reference document to help resolve any problems or problematic circumstances that arise related to the employee’s employment in the company. 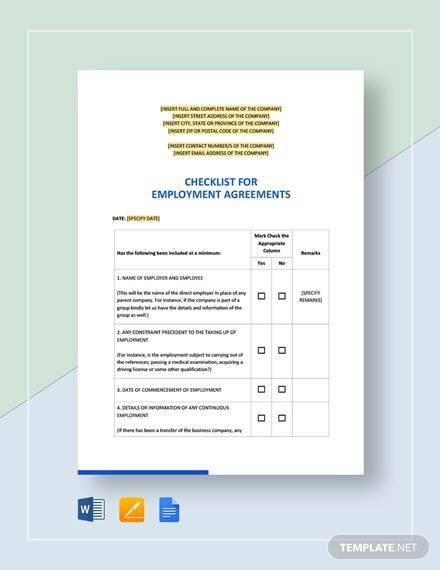 Having a written agreement for employment can also make it easier for an employer to find a replacement or be prepared for a resignation as the agreement may require an employee to give at least two weeks notice before they can leave. Discipline will also be easy to impose as it is outlined in the agreement what the duties and responsibilities of an employee are. This means that it would be easier to assess which employees are not performing well and which employees are to be given a promotion or bonus for a job well done.